This is a TQ Wire 13awg 3 Wire Kit. 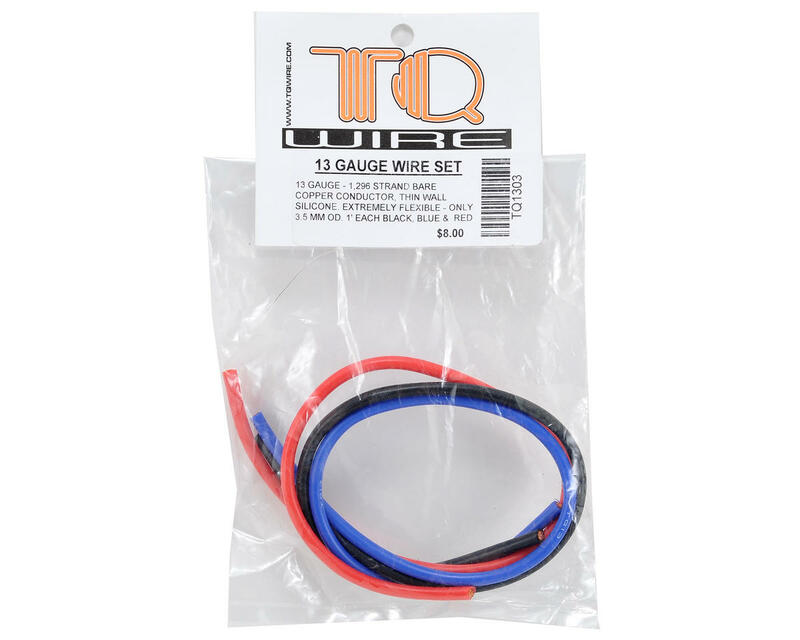 TQ 13 Gauge wire is constructed with 1,296 strands of bare copper and thin wall silicone. This wire has a 3.5mm outer diameter, making it as thin as most 14 gauge wire and delivers more power! 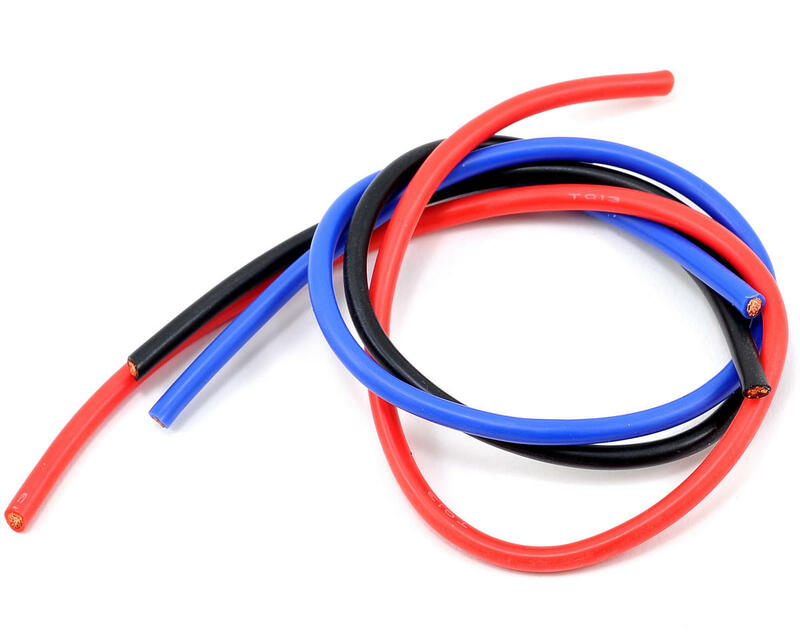 The compact 13 gauge conductor easily fits into ESC’s and BL solder terminals, is thin and super flexible, making it easy to make quick work out of neatly wiring any car. This package includes three wires that are each one foot in length.